This is a hard time of the year for many people working in the voiceover industry. The cold and flu seem to be lingering just around every corner. It makes a person want to live like a hermit until Spring springs. Unfortunately, that is not possible during this busy season, and so we must take our chances, knowing that each handshake, visit to the restroom, or kiss under the mistletoe could mean days or weeks of suffering in the recording studio. 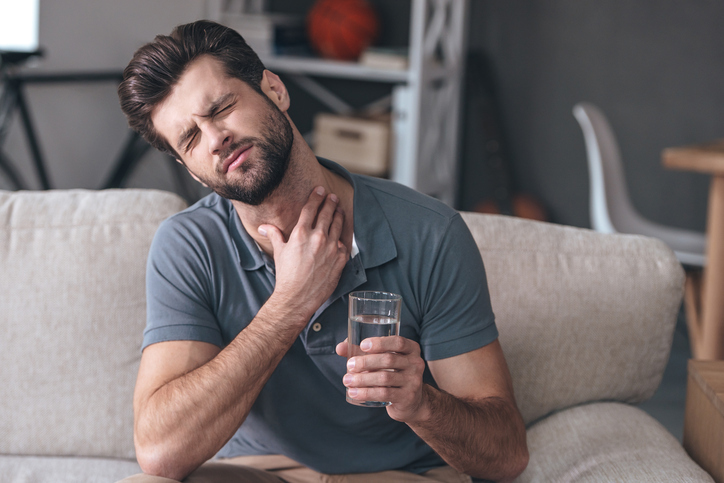 There are a few simple rules that can help you avoid (and treat) the sore throat that threatens your voiceover work. 1. Drink a lot of Water Eight glasses per day is the general recommendation, but as a voiceover artist, you may find that you need even more than that in order to keep your voice properly hydrated, especially on busy recording days. The extra fluid can also keep your throat well lubricated, which is always a good thing, but especially beneficial when you are getting a cold. 2. Avoid Menthol Cough drops may seem to be the obvious answer when your throat is aching, but the menthol in them can actually dry out your throat faster, which will make it even more of a challenge to produce high quality recordings. 3. Rest When Necessary This isn’t just referring to the ‘already sick’ in the crowd. A good night’s sleep is one of the greatest defenses against illness. When you do come down with a cold or the flu, adjust your schedule to provide periods of rest for your voice whenever possible. 4. Consider Natural Remedies Be careful, of course, to do your research. Zinc, for instance is considered a natural cough suppressant and throat soother. However, many of the vitamins and supplements on the market are not tested by the Food and Drug Administration. You might find that you have just as much luck gargling with salt water. Which is still a good thing to do. 5. Get Some Fresh Air Most doctors recommend laying down on couch or bed when sick with a cold or the flu. However, you might find that your voice is soothed by taking a few deep breaths outdoors, where heating systems haven’t dried all of the moisture out of the air. 6. Pop Vitamin C Tablets I know this may or may not be based on scientific study, but I believe that adding extra Vitamin C... 2-3 times my normal daily intake, helps keep my immune system strong and fight off colds and flu. I've even read small studies of doctors using high doses of Vitamin C to treat certain types of cancer.